Here you may read about some of the greatest world’s ancient mysteries. Check out information about Nazca Lines, lost civilizations, Tunguska, ancient cities of Incas, Maya and many more. Tired of crowds of tourists? Bored by popular destinations and laid-back vacations? Want some extra adrenalin into your blood? In need of new experience? Then you’ve got into the right place! Browse through the information to get the expert ideas of how to make your holidays truly unforgettable and extraordinary. Keep off the beaten track with UnusualExperience.Com and see the world you have never seen before. Our history is full of unrevealed ancient mysteries that still excite the minds of adventurous people, who devote their lives to find the answers. Though many historians and archaeologists do not consider many of such mysteries worth exploring as they see no riddle there at all, there are still many places or events dating back at least to the Middle Ages, which existence could not be explained by any of the scientists. And that’s why many theories and beliefs have appeared. Want to be the one who will find the lost civilizations of Lemuria and Atlantis? Or find the explanation for what Stonehenge or Nazca Lines were made? Or discover at last what happened at Tunguska in 1908? You have done the first step. Now check out the following information about the undiscovered mysteries of the past. Here you may find out about mysterious creatures statues located in Angkor, Cambodia. Get to know whether they are depicting real or myth creatures. Know more about one of the greatest lost civilizations of the world - Atlantis. Find out where the experts suppose it was located and head for the search! Check out information about Batu Caves in Kuala Lumpur. Explore the unique culture of Hindus and their mystical rituals. Read about Chichen Itza, the Mayan City in Mexico. Get to know more about the mysterious sites in this ancient town. Here you may find out more about mysterious spheres located in the valley of the Rio Terraba, Costa Rica. Check out the information about Easter Island and its renowned statues. Read the theories on how those monuments were erected and taken to the island from the mainland. Check out information on Italian Pyramids recently found. Read more on their location, approximate age and peculiarities. Here you may read about another lost civilization - Lemuria. Find out more about the theories of its disappearance and probable location. Look through the information on Plain of Jars in Laos. Find out more about their assignment and location. Read more about Stonehenge; find out more about it construction, legends about its erection and destination. Read here about Teotihuacan and its main attractions. Get to know how you can tour there. Check out information about the mysterious Nazca Lines in Peru. Read more about their location, theories on their destination and main features. 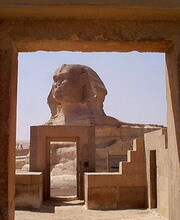 Consider the information about Sphinx and the theories of its origin. Head for a tour to Egypt and find out the explanation of this ancient mystery. Learn the information about the ruins of Tiahuanaco in Bolivia. Here you may read about the main attractions of the site, its possible functions and some facts about its existence. Consider the information about Tunguska event that took place in Russia about hundred years ago. Find out what are theories of what have happened there and about the nature changes that took place there right after the event.